The Tube-Tech CL 1B is a modern classic for a very good reason. As a vocal compressor in particular, its mixture of characteristic warm slow opto gain reduction and surprisingly versatile can’t-sound-bad operation have made it a staple across a wider variety of genres than perhaps any other optical compressor. Classic rock, cutting-edge pop, rap and hip hop, EDM… you name it. And when you do start to use it, you’ll be in control of a very special unit indeed – the tendency of an opto compressor is to grab hold fairly quickly but then take a while to fully reset, with a strongly exponential release curve. This means the transients are dealt with in a transparent way, but the larger body of the material benefits from a soft and musical levelling as the final ten or twenty percent of the gain reduction lingers before the next transient. It’s a sound every mix engineer should have on lock-down for bass, acoustic guitars, vocals and much more. 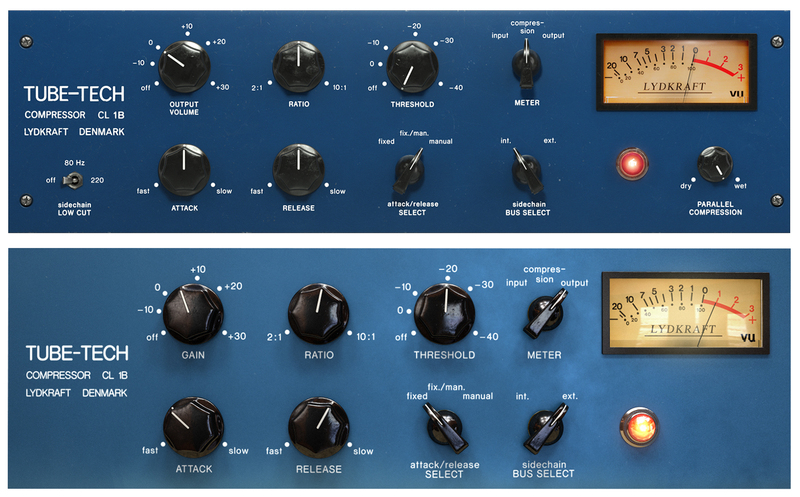 The Tube-Tech Mk II Compressor Collection includes the CL 1B Mk II compressor and the original legacy CL 1B compressor. Improved sound; a total remodel from the ground up using our latest technology. New features – side-chain low-cut filters and parallel blend. Characterful and yet still versatile compression.